Let the AccessUI supercharge your application. to your client or boss? 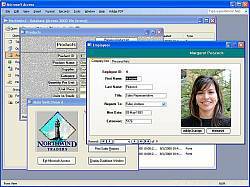 The AccessUI is an add-in for Microsoft Access that provides the ability to create professional, highly customizable user interfaces without writing any code. Unlike templates that provide a generic solution that provide some features that you want, some features that are almost what you want, and some features that you will never need, the AccessUI is an application framework that lets you to design exactly what you want. By simplifying the tasks common to all applications, you can focus on satisfying the specific application requirements. 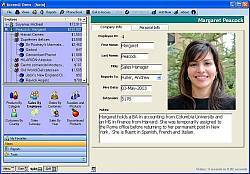 The AccessUI is designed to work with Microsoft Access 2000 through Microsoft Access 2007 and can be used with new or existing Access applications. All applications created with the AccessUI can be distributed royalty-free! Please take a few minutes to explore the features of the AccessUI and how they can help you simplify your Microsoft Access development. To learn more about the AccessUI, view the online demo or download the fully function demo or us for more information.